What Kind of Dog Am I? 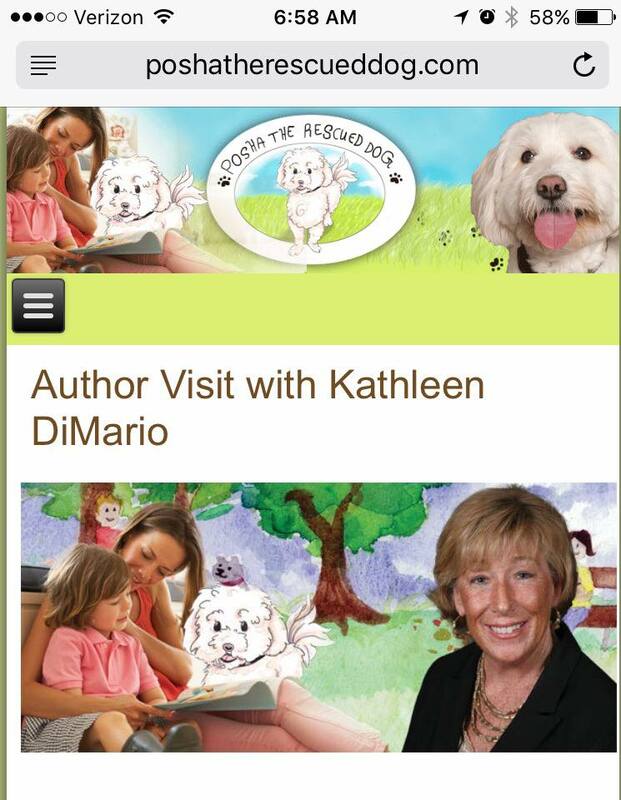 Kathleen DiMario author of WHAT KIND OF DOG AM I? is visiting Navesink school on December 9th. Students will have the opportunity to meet this author during an assembly. 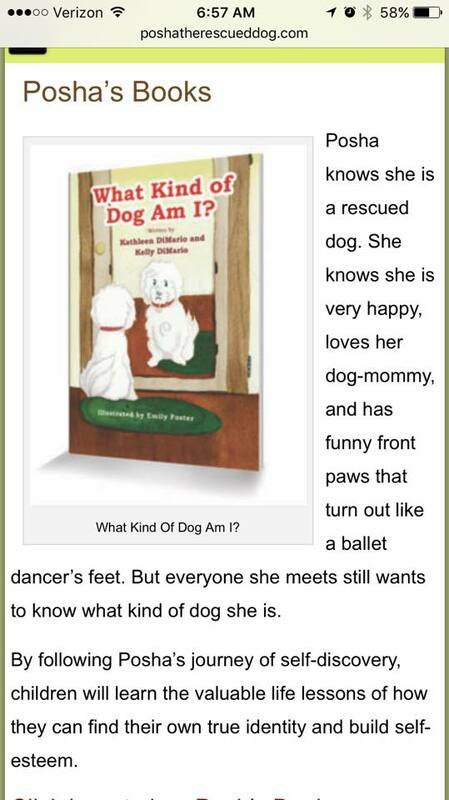 Students will learn about Posha, a fun rescued dog on a journey of self-discovery. Autographed books and a plush Posha dog can be purchased. The book and the plush dog are on display at school for preview. 10% of sales are donated back to Navesink school!!! Great holiday gift...autograph message can be customized.